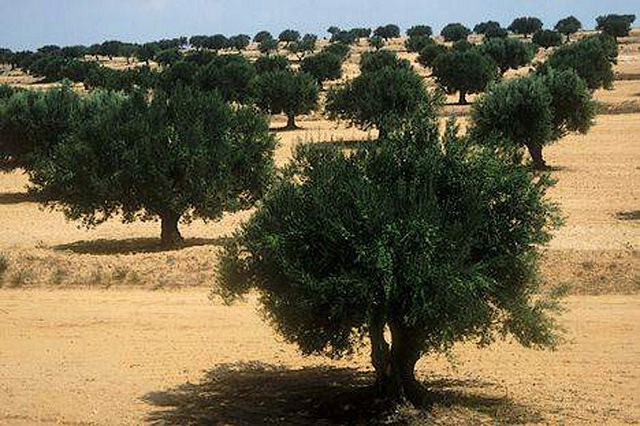 Agriculture in Tunisia mostly consists of olive oil, cereals, dates, fruits and vegetables. In recent years efforts to modernise the sector have steered it towards the development of an agri-business industry and away from traditional, small family farms. However, the sector still has to deal with several challenges, including land fragmentation, which contributes to poor access to credit; a considerable technology gap; along with climatic fluctuation and weak irrigation infrastructure, leading to low productivity. Given its export potential, most remarkably for olive oil, the sector has been made a key priority for the government, as exemplified by recent laws that comprise a series of measures to boost agriculture investment. Agriculture plays an important role in the Tunisian economy. Together with fishery, it accounted for 9.1% of GDP in 2016, generating TD8.2bn (€3.1bn), increasing by 0.18% on 2015. Challenging environmental conditions were partly responsible for the low GDP growth recorded in 2016, however improvements were expected for the following year. Indeed, according to the latest data available from the National Institute of Statistics (Institut National de la Statistique, INS), the agriculture and fisheries sector’s contribution to GDP grew by approximately 8% year-on-year (y-o-y) in the first three quarters of 2017, from TD6.1bn (€2.3bn) to TD6.6bn (€2.5bn). In terms of contribution to employment in the country, the sector represented 14.5% of total jobs in 2017. Arable land in Tunisia makes up 65% of the national territory, or 10.5m ha, of which 5.3m ha is cultivated. These lands are spread between three natural zones, allowing for a diverse agricultural base: the water-rich areas of the north account for the majority of production of fresh fruits and vegetables, while olive trees dominate the dry central region and Sahel coast, and date palms are found in the south. Tree crops occupy the largest share of land, covering 2.3m ha in 2015, according to the INS, including more than 1.5m ha allocated for olives. Meanwhile, some 1.2m ha of land was allocated for cereals. Read the full article via Oxford Business Group.